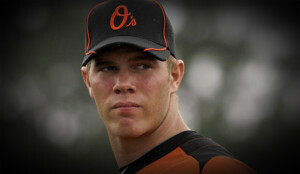 The Baltimore Orioles will not see an expected callup of its top pitching prospect in 2013. Dylan Bundy, the phenom expected to help boost a struggling rotation or average bullpen at some point this year, will now miss the remainder of it when he undergoes Tommy John Surgery. Bundy entered 2013 as the top pitching prospect in all of baseball, and a tear in his elbow will delay his MLB appearance by at least one season. Due to the poor timing of the necessary surgery, this knocks Bundy out for at least the first half of 2014, likely sidelining him from any prominent role until 2015 at the earliest. The 20-year-old came up for 1.2 innings last season for the Orioles as part of a September call-up and was slated to start the season in AA, his last minor league sighting before the brief call-up. Bundy posted a 3.24 ERA in 16.2 innings in 2012 for AA Bowie last season and has been sidelined all of this season with arm injuries.